Manhattan dentist Dr. Ivan J Miller is committed to providing a friendly and comfortable environment, along with comprehensive service and personalized care. You will be pleased to find that a visit with Dr. Miller will be pleasant and low-stress, and he’s always happy to schedule appointments at a time that’s convenient for you. Dr. Miller and his staff are dedicated to taking care of your oral health, from cleanings that make your teeth sparkle to corrective procedures that restore your mouth’s overall health. They emphasize personalized dentistry – that means they’re here to help you understand the wide range of options available to meet your dental needs – at a price you can afford. Dr. Miller is a member of the American Dental Association, the Maryland State Dental Association, the Internet Dental Alliance and Alpha Omega International Dental Fraternity. The Manhattan dentistry practice of Ivan J Miller DDS PLLC has been providing services to families since 1980. Achieving and maintaining optimal oral health is the ultimate goal of this practice, with the main emphasis on prevention. Dr. Miller is committed to providing a friendly and comfortable environment, along with comprehensive service and personalized care. As a dentist in Manhattan, he offers a wide variety of dental care services to the Metropolitan area in a convenient location in Midtown Manhattan. Call now to schedule an appointment with Manhattan dentist Dr. Ivan J. Miller at (888) 664-1348. Or fill out the online form at http://www.NewYorkGeneralDentistry.com/. Dr. Miller’s office is conveniently located at 30 Central Park South, Suite 11-D, New York, NY 10019. 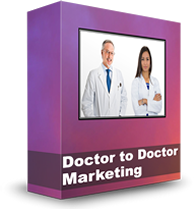 Dr. Miller’s dentist marketing website is by Internet Dental Alliance, Inc. (IDA), the leading provider of dental practice marketing websites in North America.